Inspiring young adults to be thoughtful and resilient contributors to society. Quimby Oak Middle School empowers young minds to be proactive, lifelong learners who think critically and communicate effectively. We will maintain our work around the Evergreen Profile of a Learner and work together to develop students that learn, communicate, collaborate, think critically, innovate and advocate. Quimby Oak Middle School, in the Evergreen School District, was established in 1968 and is located at the base of the Evergreen foothills in southeast San Jose. Quimby Oak attained the status of a California Distinguished School in 1992, 1996, 2001 and 2013. In 2015, Quimby Oak was awarded the Gold Ribbon Schools Award for outstanding implementation of the Common Core State Standards. Quimby is a school with rich traditions and core values. We have a legacy at Quimby of exceptional Lobo pride! In 2015, Quimby underwent a significant transformation. We started with a rebranding of our school and set our purpose: At Quimby, we empower young minds to be proactive, lifelong learners who think critically and communicate effectively. Evaluating student need, our school embarked on a journey that would lead to the creation of two dynamic program choices for each and every student: Lobo Comprehensive Program (LCP) and Lobo School of Innovation (LSI). We partnered with the New Tech Network (NTN) of schools throughout the United States. A partnership over five years strong in Evergreen School District. As a result of our partnerships, brand new building enhancements helped shaped our campus. In the winter of 2018, Lobo School of Innovation’s two-story structure was opened offering six collaborative classroom spaces for teachers and students. The addition of other community enhancements: a new quad area for all students, an upgraded parking lot, and landscaping all supported the unique changes taking place on Quimby’s campus. This now means our students have two exciting options when entering their two year Lobo academic program. Whether you select the Lobo Comprehensive Program (LCP) or the Lobo School of Innovation (LSI) an exciting two year experience awaits you. At Quimby, we believe in choice. We are keen to the needs of our students and fundamentally understand that learners are unique. Offering a fully Project-Based program, and a rigorous comprehensive program, offers our students cutting edge opportunities that prepare them for the demands of high school, college and career. Ultimately, we want to provide our students as many avenues as possible that will lead them to success. We encourage and expect our students to strive to do their best. We know that within a well-defined, consistent, structured environment, each child has the capability to achieve academic success and, thus, develop positive self-esteem. 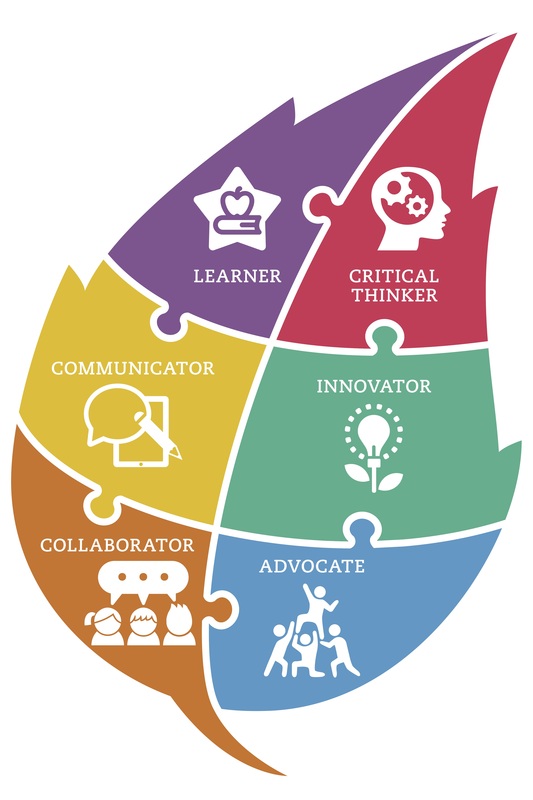 We align with our Evergreen Profile of a Learner where we aim to develop students who: Learn, communicate, collaborate, think critically, innovate & advocate. We engage our students in authentic learning that prepares them with the skills to be global minded citizens. We encourage and intend that students will take advantage of the opportunities for intellectual discovery, will realize the necessity for problem solving, will interact with other students and staff members in a positive, mature manner, and will develop the skills needed to adapt to the demands of a rapidly changing world. Meet the 2018-2019 Quimby Oak Middle School Administration Team! Mrs. Hansen-Vera began her career in Evergreen in 2005 as an elementary school teacher at Cedar Grove. She's worked at Laurelwood Elementary school and joined the reinvention team at Katherine Smith Elementary in 2012. Long time Teacher Induction (BTSA) support provider and leadership team member, Mrs. Hansen-Vera served as a District Instructional Common Core Coach before joining Evergreen's administration team. Mrs. Hansen-Vera served as an Assistant Principal and Coach at Quimby Oak before leading the development, implementation and launching of Lobo School of Innovation. In June of 2018, Mrs. Hansen-Vera was promoted to Principal of Quimby Oak Middle School. On a personal note, Mrs. Hansen-Vera is a wife, mother and New Yorker at heart. She enjoys podcasts, live music, and sightseeing. In July of 2018, her baby daughter, Scarlett, as diagnosed with Acute Lymphoblastic Leukemia and she dedicates her free time to raise pediatric and childhood cancer awareness. Ms. George is a respected, and long-time ESD elementary school teacher. Known for her creative drive, knowledge and collaborative spirit, she's inspired students at Montgomery Elementary and Katherine Smith Elementary. Ms. George served as a District Instructional Common Core Coach at OB Whaley Elementary and is a New Tech Network Certified Teacher with exceptional expertise in facilitating and implementing projects in a Project-Based Learning Environment. She joined Quimby as and Assistant Principal and Coach in 2017. In June of 2018, Ms. George was promoted to Site Director of Lobo School of Innovation. On a personal note, Ms. George enjoys decorating her new home in Morgan Hill, spending time with her family, traveling, and spending time with her dog, Daisy! She enjoys entertaining, planning events, and decorating. Ms. George is artistic, vibrant, and brings her former cheerleader spirit with her wherever she goes! Ms. Marena Doxie is a long-time member of the Evergreen teaching community. Starting her teaching career at Quimby Oak in 2007, Ms. Doxie taught both seventh and eighth grades History/Social Studies, eventually becoming department chair and working to increase collaboration between grade levels and other content. A strong believer in teacher professional development, Ms. Doxie became a new teacher mentor, eventually joining the district's Induction (formally BTSA) leadership team. Promoted to Induction Program Coordinator in 2015, Ms. Doxie continues to lead and support new teachers across the district in their developing practices. 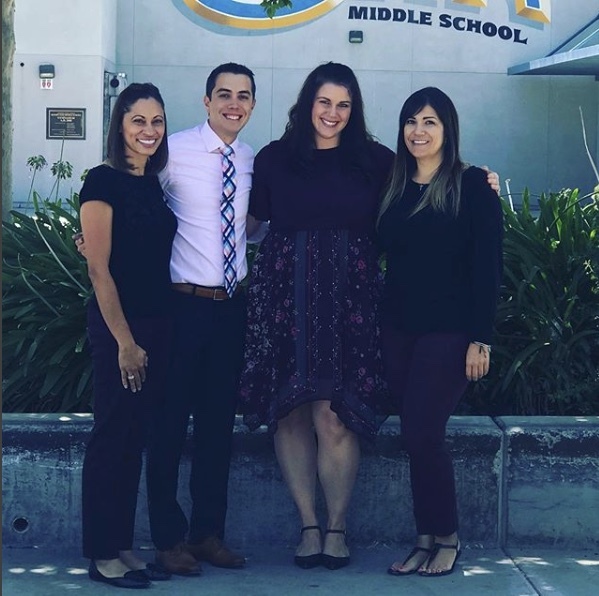 Moving from Quimby in 2016, Ms. Doxie worked as the instructional coach at Cadwallader Elementary School before becoming assistant principal and coach at LeyVa Middle School. The return to Quimby in 2018 as assistant principal is a welcome home. Aside from work, Ms. Doxie enjoys spending time with her family, baking, and watching Netflix. She is currently working on an Ed.D. in Educational Leadership from Mills College in Oakland. Mr. Stolan is a born and raised Quimby Oak Lobo. He attended Quimby Oak as 6th, 7th, and 8th grader during his middle school years. He then was offered a position as a Math teacher at Quimby Oak just out of college as part of the SJSU Teacher Internship Program and began impacting students he could relate to right away since he grew up in the same neighborhood. After 6 years as an integral part of the Math Department, Mr. Stolan took on a new venture and became a founding staff member of the Lobo School of Innovation, where he helped shape a new Project Based Learning School choice model within the Quimby campus. Now, Mr. Stolan’s journey has come full circle as he is beginning his first year as an assistant principal at the same Quimby Oak Middle School he attended all those years ago. He is absolutely obsessed with ties (he even has a slide show that he uses to teach students AND teachers the proper way to tie a tie) and is actively trying to make his 2 year old daughter, Noelle, as big a San Jose Sharks fan as he is.